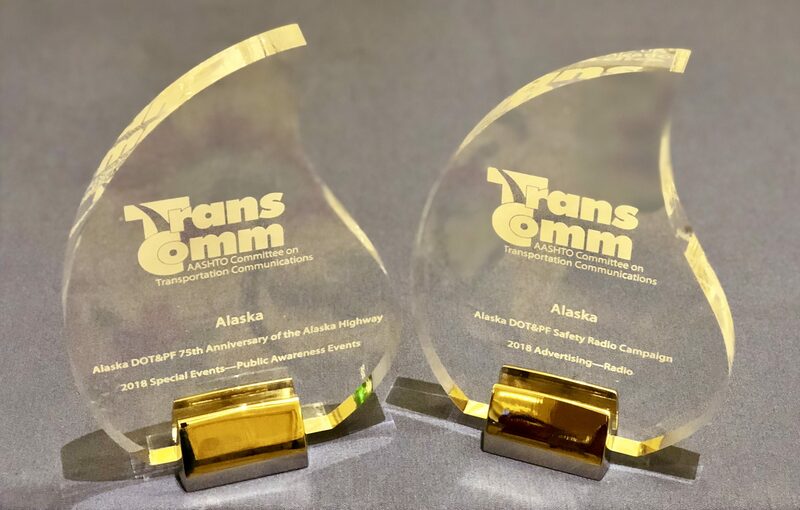 Last week, the Alaska Department of Transportation and Public Facilities (Alaska DOT & PF) drove home with a 1st Place Advertising for Radio award at the American Association of State Highway and Transportation Officials (AASHTO) Awards Competition. The winning entry was “Safety Campaign,” a radio commercial written and produced by Spawn Ideas. The radio spot was part of a multi-media safety awareness campaign created by Spawn. It takes a fresh approach, reminding Alaska drivers of the most important reason to drive safely in road construction zones – road workers and crew are real people, with families who care for them. We’re happy to report there were zero deaths in Southcentral Alaska construction zones during the 2017 construction season (when the campaign ran) and an overall 18% decrease in car accidents in construction zones! We appreciate YOU. Our clients inspire us and give us the opportunity to challenge ourselves and do powerful work every day. The American Association of State Highway and Transportation Officials (AASHTO) Awards Competition is an opportunity to recognize colleagues and peers who are achieving great things in the transportation field. Each year AASHTO honors individuals and transportation departments for their contributions to the transportation community through a series of awards.